Patiala constituency going to be hot seat in Punjab Elections 2017 as theres now Ex-Army Vs. Ex-Army. 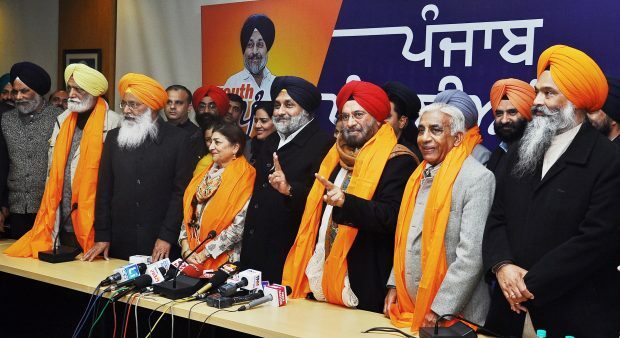 In past few days, congress played on the Ex -Army card of captain Amrinder Singh and today, Shiromani Akali Dal President & Deputy Chief Minister Punjab S. Sukhbir Singh Badal Welcoming General J.J Singh (Retired Indian Army Chief) into SAD Folds & Announcing him as SAD Candidate from Patiala Vidhan Sabha Constituency for upcoming 2017 Assembly Elections at SAD Head office in Chandigarh on Saturday 07th January, 2017. Elections are set to be on 4th february and results would be out on Captains’ Bday i.e. 11th March. Lets see which army man is there in destiny of patialvis.